Last fall when I was craving a hot & sweet drink, I reached into my pantry for cacao powder or baking cocoa to make my usual hot cocoa recipe; however, I found a bar of hazelnut dark chocolate stashed inside and decided to use that instead. This was simultaneously the best and worst decision ever. Before this, I was satisfied with simple hot cocoa made with dry ingredients. Now I'm spoiled and purposefully keep 1-2 bars of fair-trade chocolate on hand for emergency hot chocolate cravings. Which leaves me wondering WHY I waited so long to use good-quality chocolate (you know the stuff with cocoa butter) in my hot chocolate. Don't get me wrong, cacao powder makes an intensely satisfying & healthy hot cocoa, but bar chocolate has a slight edge with the extra fat and sweetener, which makes it rich and creamy. My best guess? I grew up with the store-bought mixes, so hot cocoa or chocolate for me was always synonymous with dry ingredients + hot water or milk. And any bar chocolate laying around went straight into my mouth. Can you relate? These days my weakness is salty, crunchy snacks so I don't have to worry about vanishing chocolate. If that's not the case with you, try hiding your chocolate stash in a container for some kind of food no one likes but you. Sneaky, but I hear it works well. 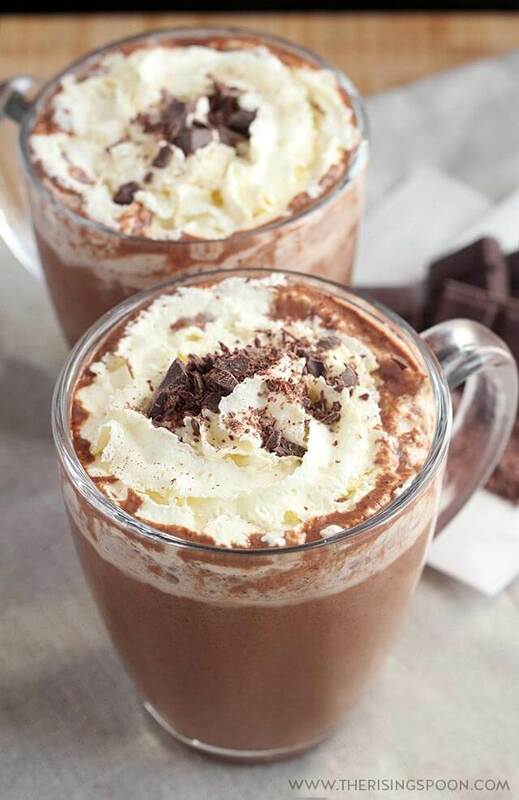 Homemade hot chocolate requires only three basic ingredients: chocolate, milk & sweetener. Of course, you can add plenty of other things to change the flavor or jazz it up but those are the core ingredients for a simple, delicious hot chocolate. The best part? You can fix it on the stovetop in 15 minutes. No need to put on pants, drive to Starbucks & pay $$$ for one of their fancy drinks (like pumpkin spice lattes). That is unless you're visiting one connected to a Barnes & Noble and plan on browsing their selection. I'm a huge book lover and think we need to support brick & mortar bookstores! Before I jump into the "how" of hot chocolate, let me go over the ingredients so you can see all your options and decide whether you want to make swaps or throw in add-ins to change the flavor. High-Quality Bar Chocolate (or Chocolate Chips): This is the main ingredient so it's important that you choose a good bar of chocolate that you would eat by itself (my current favorite is this hazelnut dark chocolate bar). Look for a short & simple ingredients list with things like sugar, cocoa, cocoa butter & vanilla. White, milk, semi-sweet, or bittersweet (dark) chocolate all work. It doesn't have to be expensive (you can find stuff on sale) but don't go for dirt cheap. I don't mean to burst your bubble, but cocoa is not inexpensive to source. So, if you get it at a rock bottom price, there's a reason: it most likely comes from slave labor. If you care about that sort of thing, make sure to buy chocolate that is fair-trade certified. Milk (Dairy or Dairy-Free): This is the other main ingredient and what type you use affects how rich the hot chocolate turns out. I prefer unsweetened vanilla almond milk - like this one with no emulsifiers (or homemade almond milk or homemade coconut milk) since it's lighter and makes my belly happy in drink form; however, this would also be delicious with whole milk (raw or non-homogenized), heavy whipping cream (that would be super decadent), sweetened condensed milk + water (you'd probably want to skip the extra sweetener in that case), or other nut or seed milk (cashew, coconut, pecan & walnut). Sweetener: Since I use dark chocolate (which is bittersweet) in my hot chocolate, I always add 2 tablespoons of coconut sugar or real maple syrup to the hot milk mixture. 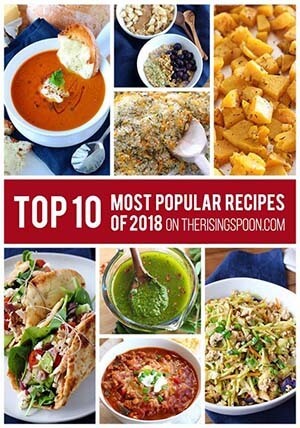 Feel free to use your personal favorite: raw honey, muscovado, vanilla-infused sugar, turbinado, date paste, brown sugar, blackstrap molasses, organic cane sugar & even a low-carb sweetener like stevia or swerve work. Note: The amount of sweetener needed in the recipe depends entirely upon the sweetness level of your chocolate & whether your milk has extra sugar in it (flavored nut milk often does). If you're using white chocolate, milk chocolate and/or sweetened condensed milk, you may want to omit the sweetener entirely. This is why I've added the step in the recipe instructions to have you taste the chocolate + milk mixture before adding the sweetener. That way you can use your taste buds as a gauge. Vanilla Extract: A little goes a long way, but vanilla extract makes hot chocolate taste so much better. 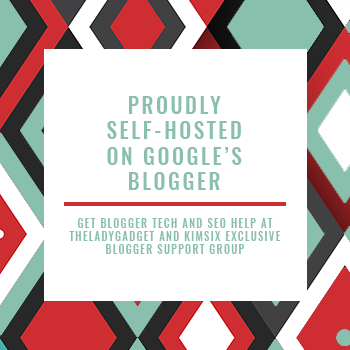 You can use store-bought vanilla extract, homemade vanilla extract (it tastes best after at least 6 months of steeping), vanilla bean paste, or a bit of vanilla scraped from a fresh bean. Just don't use imitation! Use the real stuff or skip it altogether. (Optional) Ceylon Cinnamon Powder: Just like vanilla extract, you only need a teensy bit to really elevate the flavor of homemade hot chocolate and add a bit of warmth. I always have a jar of Ceylon Cinnamon Powder (a.k.a. "true" cinnamon - it tastes 1000% better than cassia) in my pantry for bulletproof coffee, so it's what I use for homemade drinks like this or leftover pumpkin pie milkshakes (sooooo good). Pour the milk into a small saucepan and heat until steaming, but not boiling. 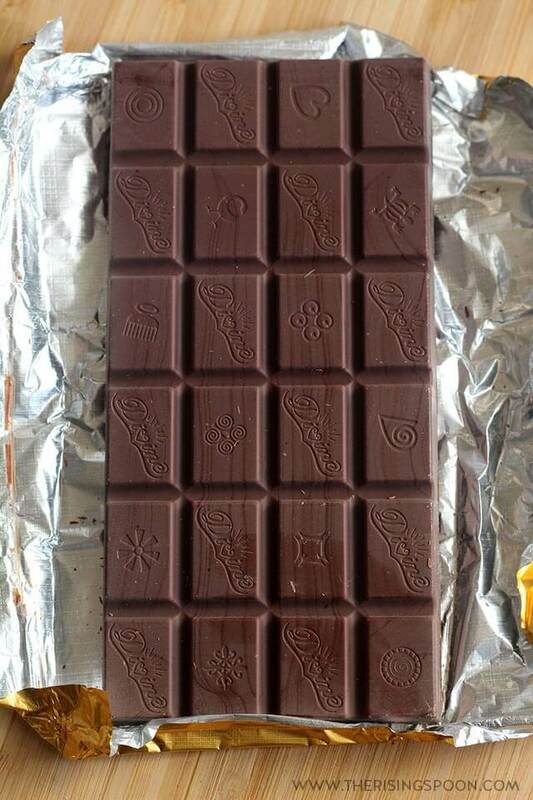 Meanwhile, finely chop the chocolate so it melts quickly. 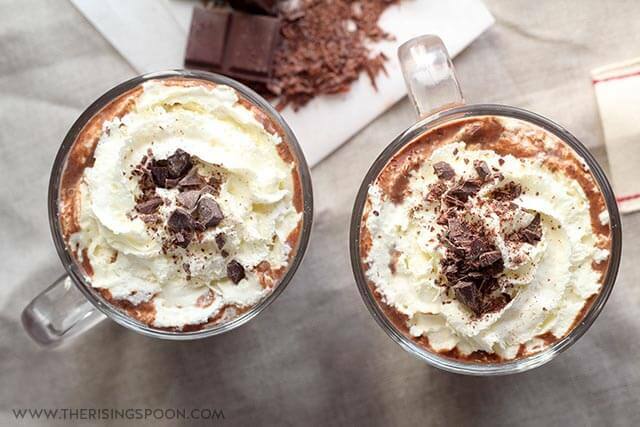 Save some of the chocolate dustings for topping the hot chocolate. 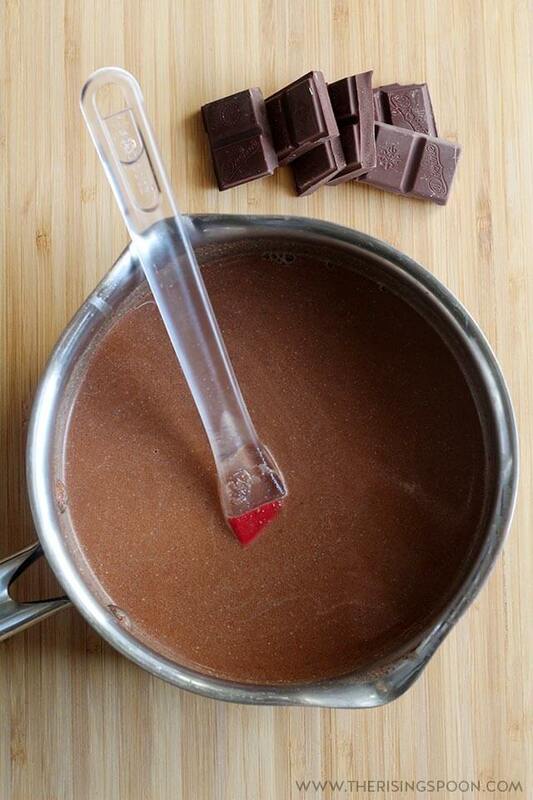 Reduce the heat, add the chopped chocolate into the steaming milk and stir constantly until the chocolate is melted. Taste the hot chocolate mixture and add your desired amount of sweetener (sweeter chocolate & milk may require none, bittersweet might need more than called for in the recipe). Remove from heat and add in vanilla extract + dry spices, if desired. Immediately pour into mugs, add your favorite toppings, and enjoy hot! When you melt chocolate bars or chips quickly in hot milk, the chocolate won't dissolve 100%. By that I mean, there will be little flecks of chocolate left in the milk mixture. I'm totally fine with that; however, if you're a stickler for texture and want it super smooth, you can achieve this by slowly melting the chopped chocolate or chips first over a double boiler until it's completely melted and then stir that into the hot milk. Another option is to make it my way and then pour the hot chocolate mixture through a fine-mesh sieve or nut milk bag before serving. Storebought whipped cream & marshmallows are pretty sweet, so keep that in mind when adding the sweetener to your hot chocolate in the saucepan. You could probably get away adding a bit less sugar since the topping will melt into the drink fairly quickly. Did you know whipped cream is freezable? If you're making hot chocolate for kids or a party, you can freeze the whipped cream in shapes. Do this by spreading the whipped cream in an even layer on a rimmed baking sheet, flash freeze it until firm, use a cookie cutter to make different shapes and then store these (covered) in the freezer until you're ready to top the finished hot chocolate. Super fun, eh? An easy way to switch up or enhance the flavor of homemade hot chocolate is by using flavored bar chocolate! Many of the good brands add yummy mix-ins like ginger, peppermint, hazelnut, almond, dried cherry, orange peel, and more! Note: If there are large chunks in the chocolate, you'll need to strain the milk mixture before serving. dried fruit like oranges, cherries, mangoes, etc. 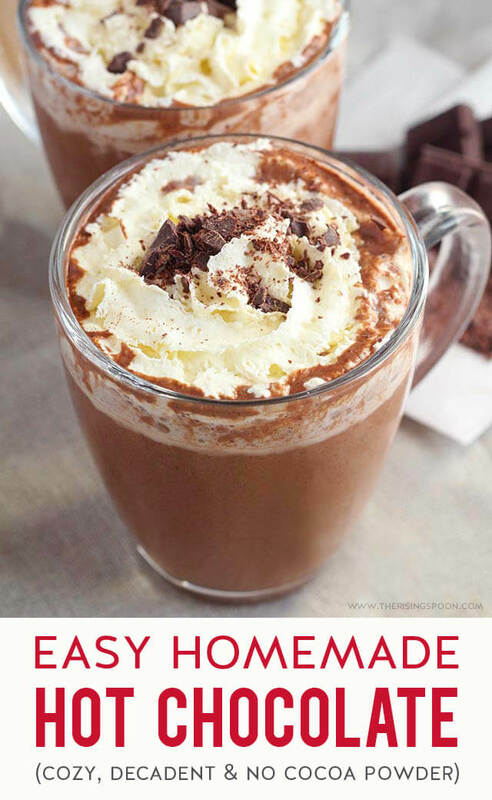 Learn how to make homemade hot chocolate on your stovetop in minutes without cocoa powder. All you need is a chocolate bar or chips, your favorite sweetener, and milk (dairy or dairy-free). To make it even more decadent, add some vanilla extract, dry spices & a creamy topping. Skip the store mixes and pricey cafe drinks and fix this easy recipe instead! Measure the milk into a small saucepan set to medium heat. Warm the milk until it's steaming, but not boiling (this should take 3-5 minutes). Meanwhile, finely chop the chocolate bar into small pieces (do the same for chocolate chips if using those instead) so it will melt quickly in the hot milk. Save some of the chocolate dust or smallest shavings for garnishing the hot chocolate at the end. If needed, stir in 2-3 teaspoons of your preferred sweetener until completely dissolved, taste again, and add more until it reaches your desired sweetness level (I typically use 2 tablespoons with dark chocolate). Remove from heat, stir in the vanilla extract and cinnamon powder, if using, pour into tall mugs, add your favorite toppings like whipped cream, extra grated chocolate or marshmallows, and serve immediately while hot. The amount of sweetener needed for the recipe will depend on how much sugar is already in your chocolate and milk. White or milk chocolate may not need any additional sweetener added, whereas super dark or bittersweet chocolate may need 2 tablespoons or more. 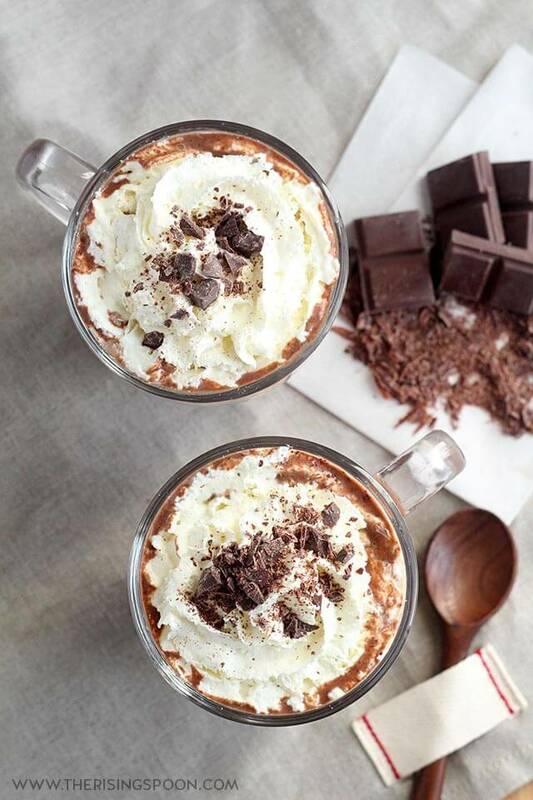 To make a peppermint version of this hot chocolate, stir in 1 teaspoon of pure peppermint extract at the end once the pan is removed from the heat. Top with whipped cream, crushed candy cane, and an additional peppermint candy cane stuck inside the mug for stirring. You could also use a peppermint chocolate bar at the beginning of the recipe for even more mint flavor. If you're serving this to a group, feel free to double or triple the recipe as needed, just upgrade to a bigger pan for the stove.